Some longtime users are griping about the new interface. Luke Tsai is an active Chowhound user. When Lillian Hsu moved to Oakland in 2003, she says she had never heard of a pambazo. She didn't know the difference between a seascape and a Chandler berry. Nor had she ever tasted a goose intestine. But all of that changed when she found the discussion boards at Chowhound.com, a discovery that propelled her into what has since been an all-consuming love affair with food — a single-minded pursuit of deliciousness that is characteristic of the "chowhounds" who frequent the popular online food discussion board. "The passion of the hounds was contagious," Hsu said in a recent interview. "After reading a post, I'd think nothing of tackling the 880 in rush hour for a Blenheim apricot from CJ Olson or making a beeline for Santa Rosa early on a Sunday morning in search of a Crane melon." Log on to the Chowhound message board for the San Francisco Bay Area and you'll find lengthy threads about where to find, say, the most decadent slice of chocolate cake or the best pajeon (Korean seafood pancakes) in the East Bay. You'll find highly technical analyses of the roasting and brewing methodology of local coffee purveyors. You'll even find a heated debate about whether it's appropriate for an acclaimed local restaurant to charge $8 for one beautiful nectarine, unadorned, rolling around on the plate. 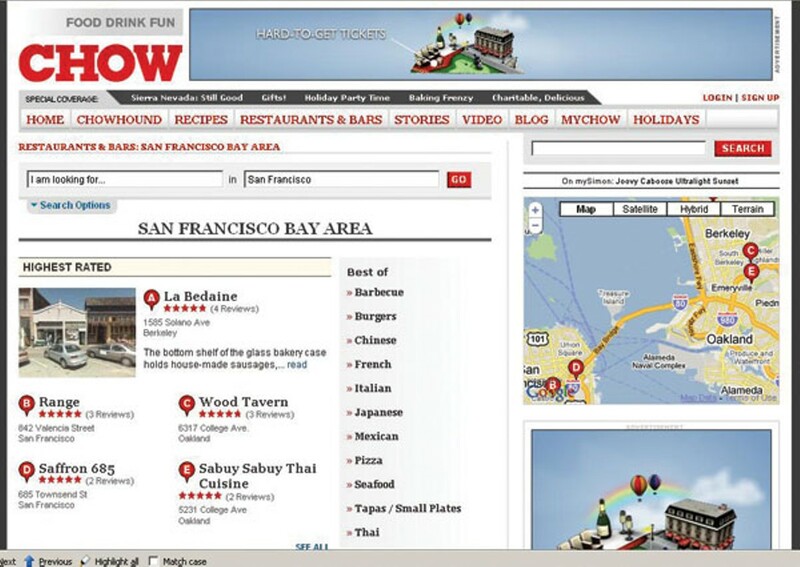 Up until fairly recently, one thing you wouldn't find on Chowhound was the kind of star ratings system favored by almost every other restaurant guide, whether in print or on the web — from Frommer's to Zagat to Yelp. On Chowhound, you couldn't give a restaurant any kind of quantitative rating. There was no graphic displayed prominently at the top of the page indicating a restaurant's average "score," and there was no way to sort restaurants in a particular neighborhood or of a particular cuisine by rating. Instead, Chowhound has built its reputation almost exclusively on long (occasionally meandering) food-focused discussions, where a single thread about one obscure dish may be kept alive for years and where information on a particular restaurant may be spread across dozens of different threads. It's an approach that may seem counterintuitive, and somewhat intimidating, to visitors who stumble upon the site for the first time. And so, on September 29, Chowhound launched a new look for its interface that, among other changes designed to make the site more user-friendly, unveiled a new "quick review" feature and a five-star rating system. Immediately, many longtime chowhounds, including a few from the Bay Area, protested. In one thread, Robert Lauriston, a South Berkeley-based technical writer who has posted on the board since 2002, proclaimed, "I think this is the end of Chowhound as we know it." Others accused the site organizers of selling out to advertising interests — a direct consequence, they implied, of the site going corporate, with its 2006 sale to San Francisco-based media company CNET Networks, before CNET itself was acquired by CBS Interactive in 2008. A few users swore that if corporate bigwigs were trying to turn Chowhound into some sort of cash cow, they'd be done with the site for good. Why all the fuss, when it might seem par for the course that a corporate entity would want to turn a profit on a site that it's running? To understand the backlash at Chowhound, you have to go back to the site's somewhat iconoclastic beginnings. Jim Leff, a freelance writer and jazz trombonist from New York, founded the site in 1997 as a virtual gathering place for folks who would, in the words of Leff's Chowhound Manifesto, "grow weak from hunger rather than willingly eat something less than delicious." The site was never just about food obsession, though — at least not in a traditional sense. One thing Leff was always adamant about was the difference between a "foodie" and a "chowhound." For Leff, foodies are people who have bought into the hype machine of the restaurant and food industry, who blindly follow the latest trends — the latest star chef or artisanal ingredient — and feel a certain amount of self-satisfaction for doing so. 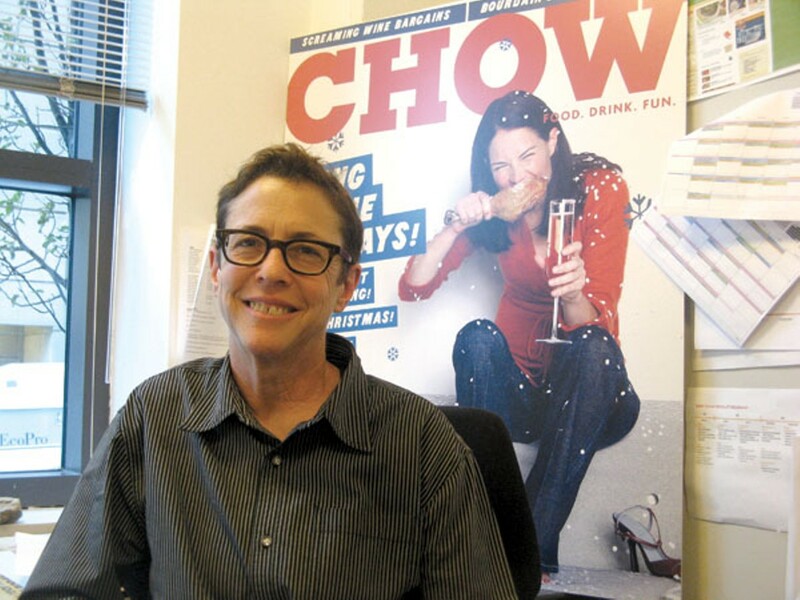 Chowhounds, Leff asserts, are food lovers who look past, or simply ignore, conventional wisdom. These are the people who are going into unfamiliar neighborhoods to try that promising-looking pizzeria or taco truck — to uncover hidden gems that have been ignored or unnoticed by the food media. "They're trying to find treasure," Leff wrote, "and have learned to never expect it to be thrust upon them." In those early days, Leff, the self-proclaimed "Alpha Dog," ran Chowhound as a labor of love. There was no advertising and no consistent revenue source — groups of hounds would simply hold periodic get-togethers where folks would donate what they could just to pay the ever-mounting server bills. (At the time, Leff promised in a spirit of independence that no food advertising would ever appear on the site — a stance that obviously wasn't sustained through the CNET and CBS acquisitions.) The message board's interface was notoriously unattractive and difficult to navigate, requiring the user to scroll down, down, down through endless threads to find relevant information. But in spite of these drawbacks, or perhaps because of them, the site built a growing and loyal user base of people with whom that whole antiestablishment ethos really resonated. Take the Singapore-born molecular biologist/geneticist/neurobiologist who posts under the handle "Limster" — he first discovered Chowhound in the late Nineties, when he lived in the Bay Area. What appealed to him was that the site was about more than just a passion for food. "Importantly it was more about being able to direct and satisfy that passion with independent and critical thinking/eating," he wrote in a recent e-mail. "I stayed because I found that ethos intellectually satisfying."